As educators head back to school and summer comes to a close, it’s time to formally wrap up this round of the ThingLink Teacher Challenge. We realize some of you are still working your way through this self-paced challenge and we encourage you to continue to create and collaborate. But it is time to put an end to new sign ups at this point. The challenges will remain on the ThingLink Blog for anyone who wants to go work through them. In fact, we encourage you to use the challenges yourself and encourage you to use the resources during your own professional development offerings. For this reason, you’ll find a channel of challenges to help you navigate your way through the activities and use them with others. The experience of bringing together our group through a common learning goal this summer has been truly amazing and I have personally enjoyed it tremendously. I’d like to thank every participant for sharing your talents, expertise and time with us this summer. Communication across the group was very strong and I truly believe that the collaboration among this diverse group of educators played a critical role in the success of the ThingLink Teacher Challenge. Personally, I learned a lot from each of you this summer! Badges and certificates to recognize your hard work are on their way to your in box. As a passionate blogger, I recognize the power of blogging as a tool for self-reflection and growth. Throughout the challenge, several participants have published thoughtful a blog posts to share their personal experiences and illustrate powerful connections to their own learning. Here are a few posts that are sure to inspire! As teachers, we are all well aware that we get better over time. 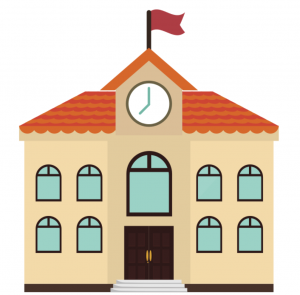 The first time you introduce a ThingLink powered learning activity in your classroom, you might find yourself in need of classroom management or workflow solutions you never imagined. 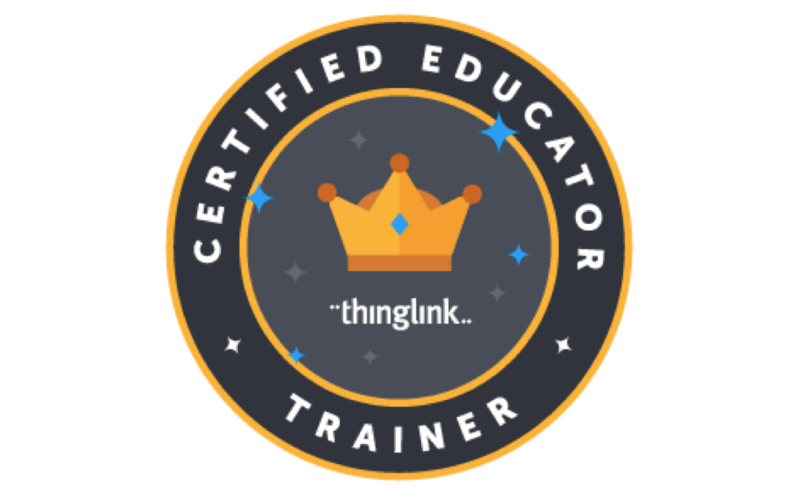 To support our community of educators, ThingLink will be moving forward with a series of webinars in September designed to help you maximize instructional time and reach your teaching goals as you build your ThingLink classroom. And of course, we have more ideas brewing to support our Professional Learning Community. If you would like to receive email alerts to upcoming professional development, please join our mailing list. This is the 10th and final post in the ThingLink Teacher Challenge series. Please Tweet and share through social media with the hashtag #TLChallenge. Feel free to repost any of the challenges on your own blog. Throughout the summer participants have been working hard each week to create interactive images for the ThingLink Teacher Challenge. Each week’s challenge presented new ways to use ThingLink to design student learning experiences that transform teaching and learning. After the first challenge or two, the focus shifted from the “how to” to the “why” as we explored possibilities that exist and aligned our images to support best teaching practices. The images create for the challenge are utterly amazing! Collectively we have created hundreds of images so far, and more images continue to be created and shared each day since this is a self-paced challenge. With so many teaching resources and ideas generated, this is a good time to collect and curate resources created by participants. You are encouraged to take the time to explore the images created by others, curate them and reuse them with your own students. There’s no need to reinvent the wheel with all of these examples at hand. That’s the beauty of this PLN. Here are some ideas for creating your own collection of useful images. Create a channel of ThingLink images by topic and use them as launchers throughout the school year. Create one or more Padlets of resources related to topics you teach. Create a LiveBinder of resources. Create one or more Pinterest Boards. Throughout the challenge, many participants have written thoughtful blog posts about the challenge. View a collection of posts on the Padlet below, and please contribute your own. As the facilitator of this challenge I have been extremely impressed by the contributions of the individual teachers to the whole group. We’ve learned so much from each other and it’s been a lot of fun! Thank you for sharing yourselves and your expertise with us. I am very excited to have added so many innovative educators to my own PLN and look forward to seeing what you do with ThingLink throughout the year. This is the 9th post in the ThingLink Teacher Challenge series. Please Tweet and share through social media with the hashtag #TLChallenge. Feel free to repost any of the challenges on your own blog and be sure to invite your friends and colleagues to participate. In this activity you will explore the use of ThingLink Channels as a tool for assembling albums of content by collecting and curating the images you created for the ThingLink Teacher Challenge. If you don’t have a premium account, you can simply create one interactive image to launch all of the content created during the challenge. You’ve worked hard all summer and now it’s time to assemble resources to showcase the work you have created. Using ThingLink Channels yourself will help you understand how they can be used by students to create collections, books or portfolios for assessment. There are a few tricks to working with channels and you will discover them when you create one yourself. Teachers and students can create collections of work with an exciting feature known as ThingLink Channels. All users can create and view channels; however, only premium users can publish them. ThingLink Channels provide users with the ability to organize images into embeddable interactive albums with the click of a button. Teachers and students have the flexibility to build channels that are connected to learning goals and compliment classroom routines. Channels provide teachers and student with many opportunities for extending the learning. In this example I created a collage of the images I created for the ThingLink Teacher Challenge for use as a cover page. I used BigHugeLabs Mosaic Maker to easily create a collage, but there are many options for creating collages. Create one from scratch or use your favorite digital tool or app.If you are creating on an iPad, you might want to try Pic Collage, one of my favorite simple apps. If you have a free account, you can simply create a cover page and publish it. In this example Laura Moore created a launcher by linking each week’s challenge to this one page. Ask students to create portfolios of work within your classroom throughout the year. The portfolio can include more than ThingLink images, just take a snapshot of any digital work and tag it to link to a project. Teachers can add tags to students’ images created within the classroom, which could be useful for providing feedback. Create a channel to tell a digital story. Create a channel of interactive images to launch a project. Include directions and examples. Create a channel for use as a presentation, as an alternative to a traditional slideshow. If you do not have a premium EDU account, you will not be able to publish your channel of images. For this reason, you might want to create one image with links to your content and publish that on the Padlet instead. You can not reorder images in a channel at this time, so make sure to add images in the order you want them to be. Channels hold up to 10 interactive images. There is no option to add your ThingLink for Video to a channel at this time. If you want to include your video in your portfolio, take a snapshot of it, then upload the snapshot to ThingLink as an image and add a tag to your video. View example. You can also chose to skip this step and simply create a link to your video somewhere within your portfolio. Create a simple image to be used as a cover page for your channel and add it to your ThingLink EDU account. Open the cover page you created. Click on the words below the image, “Add to Channel”. Repeat to add each of the images you created to the Channel. You can add a ThingLink Channel to a Padlet by copying the link you find under Share Slideshow. If you are not a premium users, simply publish your interactive image on the Padlet. Go to Channels and select your portfolio channel. Click on Share Slideshow at the top of the screen. Open the Portfolios Padlet and add the link. View our showcase page and watch it grow! Explore and curate content created by other participants in the ThingLink Teacher Challenge to create a collection of resources. This is the 8th post in the ThingLink Teacher Challenge series. Please Tweet and share through social media with the hashtag #TLChallenge. Feel free to repost any of the challenges on your own blog and be sure to invite your friends and colleagues to participate. Create an interactive image to collect informed feedback. Explore the use of Polldaddy as a tool to collect feedback. Use rich media tags to enhance your image. Share and self-publish your image on our Padlet. In this activity you will explore the use of an interactive image for informing and collecting feedback from an audience. Here is an example of using ThingLink to help a school community choose a common book for a One School, One Book project. The image uses multimedia and text to inform voters before utilizing Polldaddy to capture the vote. The image is useful for collecting input from community members of any age because it has built in multimedia supports. Create a bookshelf of books read independently by students. Use rich-media tags to include student created book reviews and use the interactive image as a library launcher to help students find books. Create an image with choices for student group projects of any kind. Use rich-media tags to share project examples, and add a poll to organize students by group. Create an image and add it to your ThingLink EDU account. Add rRich Media Tags to enhance your image using a variety of multimedia to support diverse learning needs. Sign up for a free Polldaddy account. Create a poll on Polldaddy and add a rich-media tag. Share and submit interactive to the ThingLink Challenge. Use of a Padlet is a easy way to collect ThingLink Interactive images. Anyone can add a ThingLink to a Padlet easily without logging in. Try it yourself, then think of how easy it will be to ask students to turn in their own interactive images directly to the Padlet. These illustrated directions can also be found right on the Padlet, Take a Poll. Create a Portfolio Channel of Images from the TL Challenge. This is the 7th post in the ThingLink Teacher Challenge series. Please Tweet and share through social media with the hashtag #TLChallenge. Feel free to repost any of the challenges on your own blog and be sure to invite your friends and colleagues to participate. Sign up for a free Audioboo account and download Audioboo mobile for iOS. Create an interactive image that is enhance through the use of sound. Learn about Universal Design for Learning. Design a learning experience with built-in supports for all learners. Share and self-publish your ThingLink on our Padlet, Turn it Up with Sound. In this activity you will explore the use of sound to create an interactive image enhanced by audio. You will reflect on ways to design lessons to support the unique learning needs of all students, and discover the possibilities that exist for embracing audio. Grab your iPad or iPhone and capture sound on the go with the Audioboo app, or record something more formal from your laptop. It’s time to tap into sound. ThingLink is a multimedia rich and flexible tool can be used to support the diverse learning needs of all students, putting power in the hands of the facilitator of a well designed lesson. So let’s focus a bit on designing lessons from the start that are equipped with built-support and designed for success. Universal Design for Learning supports the idea of designing lessons from the start that are equipped with support for all learners to overcome learning barriers and to meet their diverse learning needs. I used very short snippets of public domain audio from NASA for the audio on this image. It’s important to be mindful of copyright rules and stay within acceptable use guidelines. Enrich an illustration or collage with student narrated original piece of writing. Create a comic strip and ask students to record the dialogue. Create a poster about a famous person or event and record quotes in students’ voices. Create and record original music. Enrich images with recorded oral histories. Facilitate a group project with audio book reports, book reviews, book ttrailers, comments and more. Explore resources available in Audioboo to create your own sound enhanced interactive image. Add an image to your ThingLink EDU account. Add multimedia supports to meet diverse learning needs. Consider including video, images, text at differentiated levels, and simulations if possible. Sign up for Audioboo with your email address or their twitter credentials. Download the iOS app from the iTunes store if you wish. Record audio and copy the web address at the top of the page. Create a rich media tag on your interactive image and paste the URL from Audioboo into the tag editor. Remember to use proper attribution. Use of a Padlet is a easy way to collect ThingLink Interactive images. Anyone can add a ThingLink to a Padlet easily without logging in. Try it yourself, then think of how easy it will be to ask students to turn in their own interactive images directly to the Padlet. These illustrated directions can also be found right on the Padlet, Turn it Up with Sound. This is the 6th post in the ThingLink Teacher Challenge series. Participants can join the challenge at any time by signing up. After you sign up, you will receive an email invitation from ThingLink. View a list of all posts in this series at the bottom of each weekly challenge. Please visit our showcase page. Please Tweet and share through social media with the hashtag #TLChallenge. Feel free to repost any of the challenges on your own blog and be sure to invite your friends and colleagues to participate. 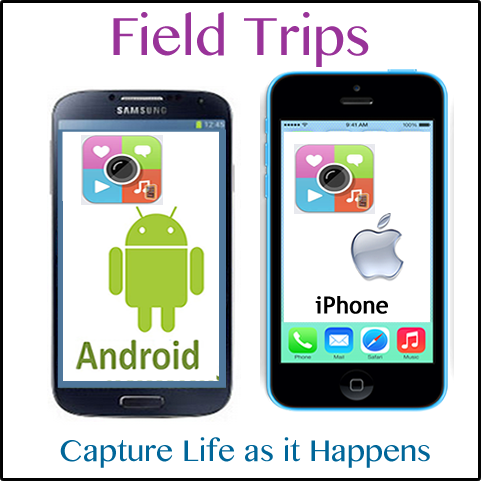 Download ThingLink mobile for iOS or Android and login with your teacher account. Go outside and take pictures with your mobile device to create an interactive image on the go. Share and publish your simple image on a Padlet yourself. 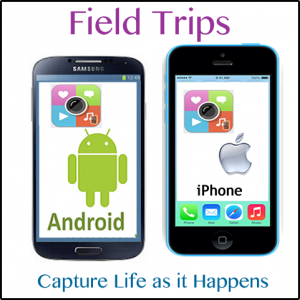 In this activity you will explore the use of the ThingLink App and a mobile device to capture and share life on the go as it happens without an Internet connection. Then when you reconnect you will publish the image yourself on a Padlet wall. This week’s goal is to enjoy and experience ThingLink’s flexible options and use whatever device is handy at the moment to embrace learning opportunities outside of the classroom walls. ThingLink is an amazing tool for teaching and learning that is supported across platforms. This flexibility provides teachers and students with a variety of options to extend the learning beyond the classroom walls. The recent addition of the Android app, along with the existing iOS app and web based platform, completes the full circle of possibilities for creating and learning with interactive images. When you get away from an Internet connection you can create content with the mobile app and store it locally on your individual device. Take a photo and tag it with another photo. Create a video interview right there, or simply annotate and record ideas through text. Think of it as an interactive notebook. There are many ways to engage students in learning experiences that extends the walls of the classroom by going off the grid with ThingLink mobile and a handy device. Allow students to bring their own devices when they explore the world to encourage active participation and help them engage and connect with the learning in front of them. Students will discover new ways to mix up their worlds and make it personally meaningful. created by by Ulla Engestrom and her children. Ulla is the Founder and CEO of ThingLink. Make sure you have a ThingLink for Education account before working with the app. Download the app. fromLogin to the app on your mobile device with your ThingLink for Education login. Go outside or away from an Internet connection and take pictures with your camera phone or tablet. Open ThingLink and choose a picture from your gallery. Tap the picture to tag image with a note or a question. Tap the picture and choose Add Media to add another image on top of your image.Click Next to share to ThingLink. Take a closeup image of flower or leaves and add it to a picture of the whole plant. Use of a Padlet is a easy way to collect ThingLink Interactive images. 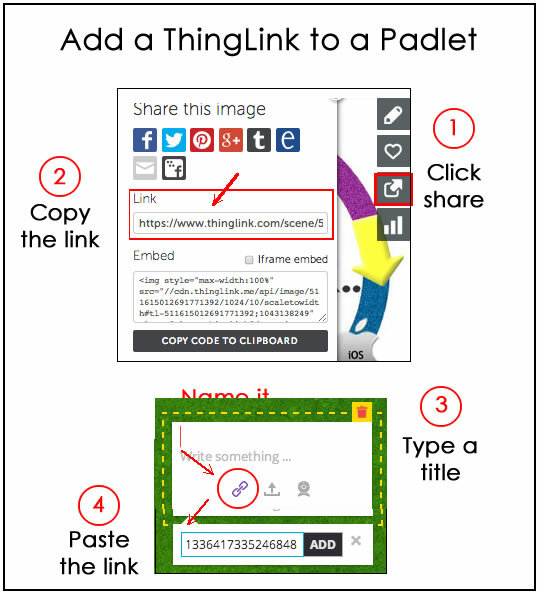 Anyone can add a ThingLink to a Padlet easily without logging in. Try it yourself, then think of how easy it will be to ask students to turn in their own interactive images directly to the Padlet. Of course, do this part after you reconnect to the Internet, since Padlet is a free online tool. Here is an embedded version of the wall. To contribute your own image, go to the wall, ThingLink Uplugged . The directions pictured above are also available for handy access right on the Padlet. Select the Share icon on your image. Copy the link that appears. Go to Padlet and double tap to get a note. Type a title. Click on the link icon and paste the link into the box. This is the 5th post in the ThingLink Teacher Challenge series. Participants can join the challenge at any time by signing up. After you sign up, you will receive an email invitation from ThingLink. View a list of all posts in this series at the bottom of each weekly challenge. Please visit our showcase page. Find or create a video for independent instruction. Tag the video with resources to enhance your independent lesson and build in accountability. In this activity you will use the new ThingLink for Video tool to create a lesson that can be used independently, outside of class, to prepare students for work that will be completed in class. Jonathan Bergmann and Aaron Sams are a couple of innovative teachers who have developed an approach to teaching and learning known as The Flipped Classroom, which supports the idea of teachers as learning coaches. At it’s most basic level, The Flipped Classroom approach means front loading the learning and assigning the prep work as homework in order for students to come to class prepared to use it. This means the classroom becomes a place for collaboration, critical thinking, creativity and communication where the teacher serves as a facilitator who interacts with students, assesses them, and spontaneously pulls together groups for reteaching and challenge. The Flipped Classroom is a place where students are actively engaged in applying the learning and it is noisy and unpredictable. Worksheets as homework become obsolete and students no longer sit in the classroom listening to lectures. Essentially, The Flipped Classroom is a place where “the teachable moment” comes alive. While it does take a considerable amount of effort and dedication to truly facilitate a Flipped Classroom environment, teachers can test the waters by utilizing mini lessons, known as Flip Packs, to maximize instructional time. ThingLink For Video is a tool that is well-suited for the task. In this example I started with my own screencast, created with Screencast-o-Matic, a free online screen recorder. You can create your own video like I did and upload it to YouTube, or you can certainly start with an existing video from YouTube. Work at a level that you are comfortable with, and remember to keep it simple and fun the first time. Note: Early access to ThingLink for video must be requested. Get Early Access. Start with an existing YouTube video and add tags with your own resources to add focus to the instruction. Add an exit ticket for accountability. Use video to introduce a task task, such as Common Core Writing, and add tags with samples for students to explore. Videotape a student performing a task, such as singing, upload it to YouTube and use ThingLink For Video to add reflections, comments or suggestions to critique the performance. Explore this channel of examples and watch it grow! Extend the Walls of the Classroom with the ThingLink App. Exciting news: in the past months we have been hard at work building a new editor for annotating video content with rich media. The new editor allows users to add notes and links to existing video content, and this way turn video into a digital discovery platform. An early access to ThingLink for Video is announced at ISTE, one of the largest international conferences for educational technology. We at ThingLink believe that interactive images and video will become the 21st century textbook, and teachers are driving this change by being fast adopters of, not only new technology, but also a new way of thinking. As the use of video in education grows, ThingLink is empowering teachers and students to easily create interactive video content and facilitate in-video conversations. The ability to creatively combine web content with interactive images and video opens up new possibilities for teaching and learning. With ThingLink for Video, teachers and students can enrich educational videos with facts, detailed articles, additional content and questions. They can also search and share videos created by their colleagues, and this way access a wider network of interactive video content creators. ThingLink for Video is currently available via invitation only. Educators can request a free early access starting from today. If you are visiting ISTE this year, please come to meet us at ThingLink’s booth no 2869 and share the news with your colleagues! This is the 3rd post in the ThingLink Teacher Challenge series. Participants can join the challenge at any time by signing up. After you sign up, you will receive an email invitation from ThingLink. View a list of all posts in this series at the bottom of each weekly challenge. Please visit our showcase page. Create an original digital image. Upload your image to ThingLink. In this activity you will create an interactive image to to help students develop build vocabulary. Think about your image as a digital poster. You can weave together digital tools to create an activity that can be used to introduce students to vocabulary prior to a lesson, or your interactive image could be used to help students develop meaning through research. There is a wealth of research to suggest that vocabulary knowledge is the single best predictor of student academic achievement across all curriculum areas. Experts agree, if given the opportunity to receive effective vocabulary instruction, most students can acquire vocabulary at rates that will improve their comprehension and also their chances for success in school. 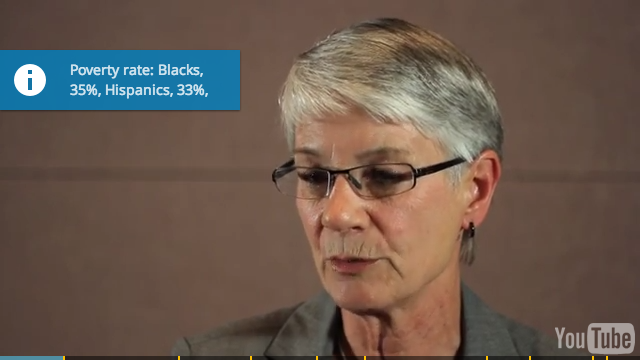 Even the Common Core identifies Academic Vocabulary as one of the six big shifts. It’s clear that educators need to spend some time teaching it. Digging deeper into vocabulary means more than just sending students to a dictionary to look up the definition. Students must interact with new vocabulary. Opportunities to use words, explore them within different contexts and create non-linguistic representations of words will help them do more than just memorize words. ThingLink is well-suited for the task. 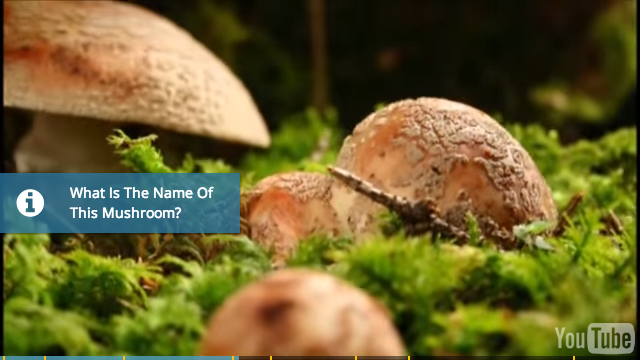 This example uses video to introduce students to vocabulary words in context. Links on the right side of the image connect to instaGrok, an integrated search engine and learning tool. After viewing the videos, students use instaGrok to build their own understanding of the terms through research. Here is an example of an everyday research project where students engaged in research to define the term boycott by finding examples. Then they created this image and tagged it with multimedia resources. Explore the channel of interactive directions below for tutorials and more. Identify a vocabulary word or a set of vocabulary words. Take a snapshot of the image to save it to your desktop. Upload the image to ThingLink. Click on the image to add Rich Media tags, text, or links to the image. Remember to add tags that go beyond dictionary definitions. Remember to add a tag with your name on your image. Remember to add a Twitter Tag and other social media icons. Submit your image through the Google Form. Check back throughout the week to view the Showcase channel. You can use any digital tool to create an original image. If you aren’t familiar with creating your own images, here are some tips and tricks to get you started. Create a PowerPoint, Keynote or Google Docs Slide with a text and images. Take a screenshot of the slide and upload it to ThingLink. Create a collage with the photo editing software on your computer. Big Huge Labs – This free and user friendly site has an array of tools that are perfect for jump starting a ThingLink learning project. Students can use the tools without logging in to an account and they can choose from a variety of options. Once created, they can take a snapshot of the image and upload it to ThingLink. Here are some fun choices. Art Skills – Art Skills is a nice tool for creating posters. Use a free online photo editing tool, such as Photo Flexr or PicMonkey. Upload the image and use the built in tools to add text. Save the finished image to your computer and upload it to ThingLink. FotoFlexer is a free and user friendly online photo editing tool that has plenty of features to edit and spruce up a photo for use with ThingLink. Upload a photo, add text and special effects, create a collage, and perform basic editing tasks without logging in. On a tablet, try Pages, Keynote, Educreations, or any app that allows you to add text to an image. Take a snapshot of your image and then upload it to ThingLink from your Photos. VocabGrabber – A word cloud generator that allows users to sort words by content area and explore relationships through visual maps. Lexipedia – Create word webs and more. A Maths Dictionary – An interactive dictionary for defining math words through pictures and simulations. Lingro – A tool that turns any digital text into an interactive dictionary, useful for help with words in context and also for ESL students. The tool also translates words and allows students to build a word bank. Word Sift – A word cloud generator that helps students build their own definitions through the use of video and images. Shahi – Shahi is a visual dictionary that combines Wiktionary content with Flickr images, and more. Word Hipp0 – A reference tool that provides definitions, pronunciations, antonyms, synonyms, rhyming words and words in context. View the Ultimate Word Wall of of amazing vocabulary images submitted and watch it grow! The wall is best when viewed full size, Go to Padlet. Create a class channel of vocabulary words for a particular unit of study. Embed interactive images into a Padlet board to build an ongoing multimedia word wall throughout the year. Ask students to create a channel of vocabulary words of their own. This is the 2nd post in the ThingLink Teacher Challenge series. Participants can join the challenge at any time by signing up. After you sign up, you will receive an email invitation from ThingLink. View a list of all posts in this series at the bottom of each weekly challenge. Please visit our showcase page. Add Rich Media Tags to your avatar to Design Your Digital Self. Share and submit Your Digital Self to the ThingLink Challenge. Get to know other participants as you explore their work. Explore the use of a ThingLink Channel for guided learning. In this activity you will create an interactive image to introduce Your Digital Self to other members of the ThingLink Teacher Challenge Classroom and also to anyone who views the great work we are doing. You will define yourself through through multimedia by creating tags to to whatever it is that defines your Digital Self. Revisit and add to your Digital Self as you change and grow. Use the channel to guide you through the process. Consider using the activity with students at the start of the school year. To engage students in learning, it’s important to help them make connections to their own world. This classroom kick off activity sets the tone for making those personal connections . The activity can also be very useful for gauging students’ problem-solving and research skills as you serve as facilitator it in the classroom. In addition, the activity provides teachers with the opportunity to remind students about protecting their identities when publishing digital work. With access to a web full of resources and the opportunity to create, this activity is built for success. Note: Create this activity in your regular teacher account. There is no need to create it in your ThingLink Challenge Classroom this time. Explore this channel of images created by participants and watch it grow! Take advantage of the teachable moment and combine this activity with an Internet Safety lesson to help students distinguish between personal and private information when sharing on the web. Introduce the activity at the start of the school year in place of a traditional getting to know you activity and encourage students to add tags as they learn, change and grow throughout the year. Create a class channel of student digital selvess for use as an introduction to another classroom when collaborating. Adapt the activity to fit into your curriculum and use it throughout the year as a place for students to showcase their growth and progress in a particular area. Ask students to create a channel of their own to track their progress towards specific goals, adding tags to highlight accomplishments throughout the year.